This article is quite old, we’ve had several theme changes since it was written. It does demonstrate that we’ve been at the forefront of responsive web design since before it was even called responsive web design. 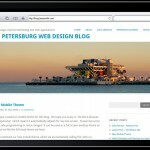 We’ve just created a mobile theme for this blog. We hope you enjoy it. 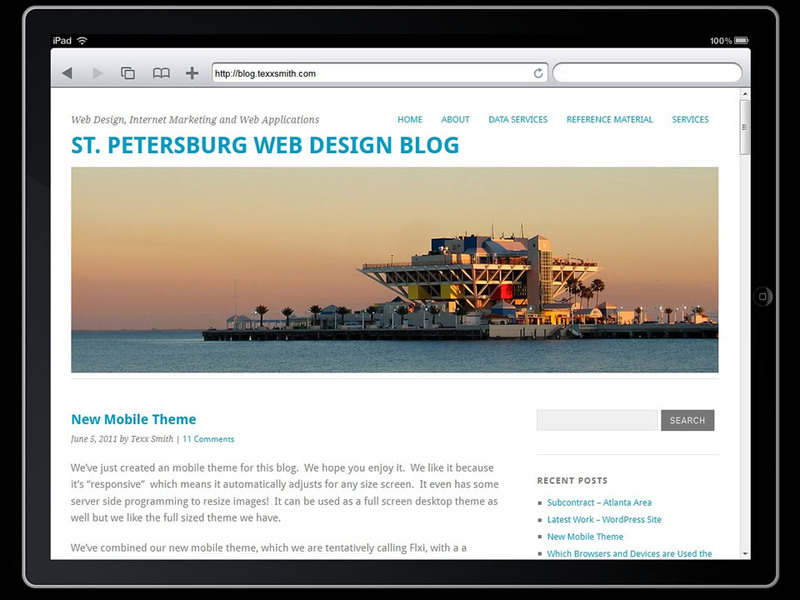 We like it because it’s “responsive” which means it automatically adjusts for any size screen. It even has some server side programming to resize images! It can be used as a full screen desktop theme as well but we like the full sized theme we have. We’ve combined our new mobile theme, which we are tentatively calling Flxi, with a “sniffer” script which detects the device being used. If it’s a tablet or phone then it gives them the same content but with the Flxi theme. It also includes a link in the footer to bypass this script and view the mobile version. 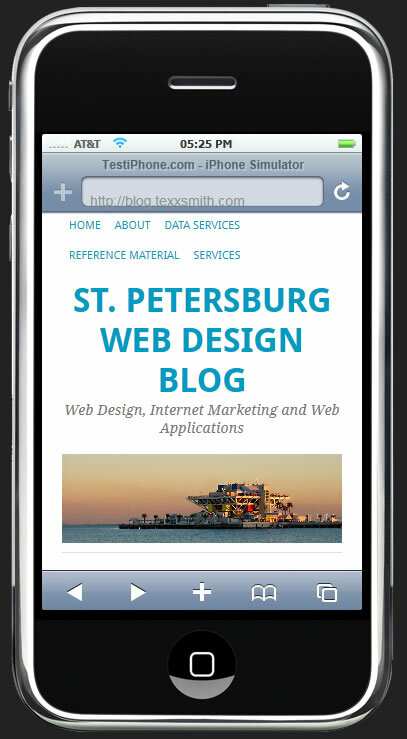 Once in the mobile version, the link in the footer will switch you back to the desktop version. We did this because our main theme looks great and is highly readable in all but the smallest of devices. O wow, I get it, it’s a totally different layout! On top of that it resizes the header image to fit the screen, not just crops it like traditional resizable themes do when you put the image as the background image of a div or table cell. That part alone is wicked cool! but on top of that it has different layout based on the size of the screens. Bigger ones get 3 columns, medium sized screens like a tablet, get two columns, smaller ones, like smartphones get one columns and really old cell phones get an even different version. I love it, are you going to release as an opensource thing or sell it? I would sell it, but if you open source please drop me a line (it’s me Jules from that company the non disclosure agreement prevent us both from speaking about publicly), I want to use it. We’d be willing to negotiate a license agreement to of we could keep it for ourselves. That’s really clever! How did you do that? Ok, I’m impressed. This is really going to take off huge if you open source it! Remember when you came up for that seminar in New York? I told you, you would be making something big one day! Texx! you old dog! you did it again! It never fails to amazing how you keep innovating with web applications. I remember when you did it for us, we still appreciate that by the way, that web app you made for us is still making us money! I love what you did for us last year, how can I talk you into adding this to our site? I want in! I’m a web developer that’s looking to put my name on something big and this is going to huge. PLEASE let me help! I don’t need paid and I’m extremely talented! Obviously you have your own developers or you are a Developer yourself, but you could always use another one, right? Just e-mail me at the e-mail addy I listed here. It didn’t surprise us that you had yet another breakthrough with WordPress like you did with the half blog / half static site you did for us so many years ago. 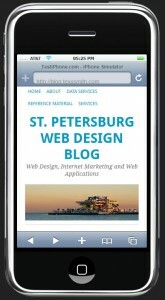 the mobile site flows so smoothly from my iphone. the site appears to be running quickly as well. good work.